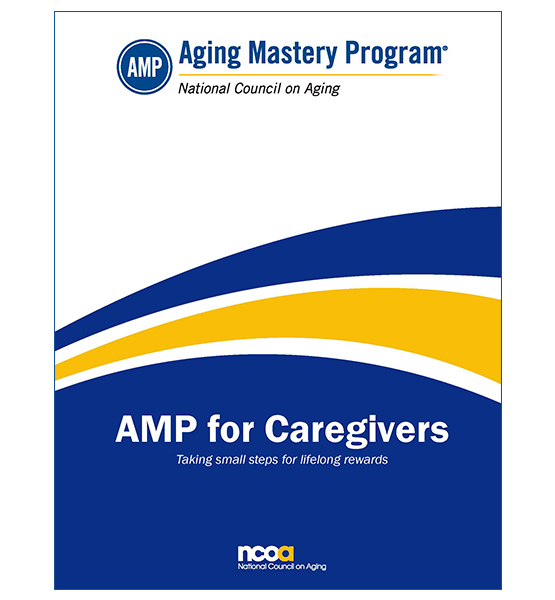 AMP for Caregivers consists of the standard Aging Mastery Program® (AMP) core curriculum "bookended" with two classes specifically designed to address caregiver concerns. In this 12-session class, participants create their own playbook for aging well via actionable goals, sustainable behaviors, and peer support, all in the context of their lives as caregivers. All facilitator materials are available in the AMP Community. There is no separate Facilitator Guide for this product. You must have a valid AMP license number to purchase the AMP for Caregivers kit. You can find your AMP license number in the AMP Community Site.